Damian and his businesses partner Jesse Friedman based Almanac upon the motto “Beer is agriculture,” with the goal of sourcing ingredients directly from local farmers. “The one question we were asking ourselves was ‘People are paying so much attention to where their food is coming from, but why isn’t anyone asking the same questions about the ingredients in their beer?’” says Damian. Almanac began as a collaboration between Damian and Jesse, two home brewers who shared a love of beer and farmers markets. They began experimenting with using locally grown fruits from CUESA’s Ferry Plaza Farmers Market in their brews, and discovered an untapped market beyond traditional brewing. They hand-bottled and labeled their first batches of beer at Drake’s Brewing Company in San Leandro. “We made around 300 cases of beer and literally drove around the Bay Area hand-selling a case of beer at a time,” Damian recalls. With each unique brew serving as a record of the season, the brewery took its name from The Old Farmer’s Almanac, the 200-year-old reference guide for farmers covering weather forecasts, planting seasons, and recipes. When Almanac Beer Co. formally launched in 2011, they knew they had struck upon something fresh and exciting. “People love the farm-to-barrel ethos, and it really resonated with our customers and beer fans here in Northern California,” says Damian. Fast forward to today, and Almanac now has their own 30,000-square-foot brewing facility in an old Naval hangar in Alameda, with distribution to grocers, taprooms, and restaurants throughout California and beyond. 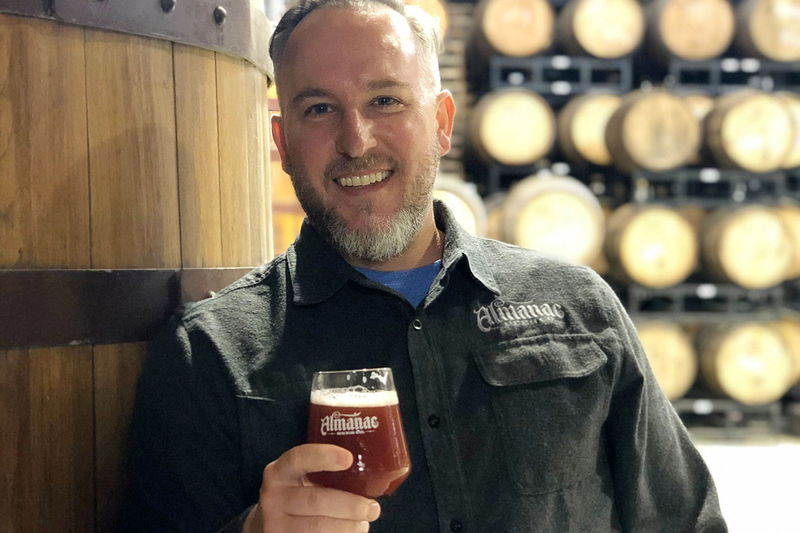 The company is 50 employees strong and growing (Jesse has stepped away from his role as head brewmaster to pursue other projects, but continues to advise on the board). In an industry dominated by commodity crops with complex global supply chains, Almanac sources California-grown organic, malted barley from Admiral Maltings, which shares the same hangar in Alameda. Admiral was founded by two veterans of the craft brew scene, Ron Silberstein of ThirstyBear Brewing and Dave McLean of Magnolia Brewing Co., with the goal of making locally grown, handcrafted malt available to Bay Area beer makers. Almanac also sources some of their hops locally from Hops-Meister Farm in Clear Lake. 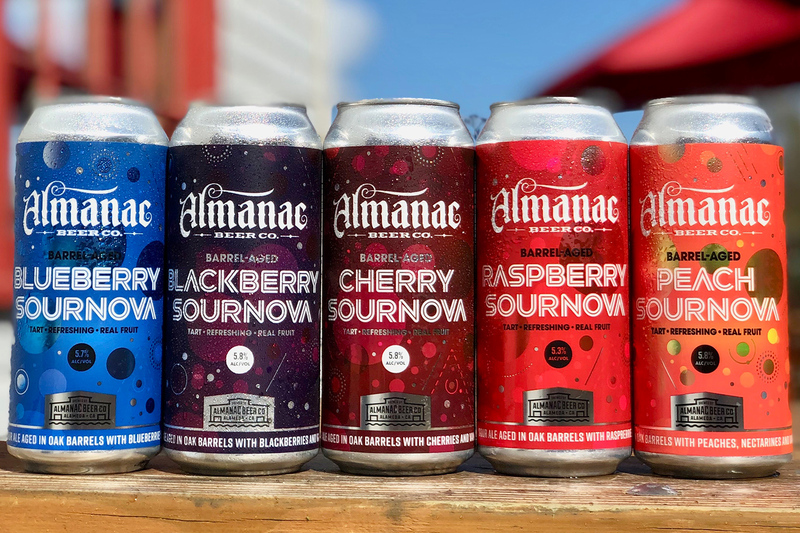 Almanac releases over a dozen fruited sour beers on an annual basis, partnering with local farms, a number of which are at the Ferry Plaza Farmers Market. 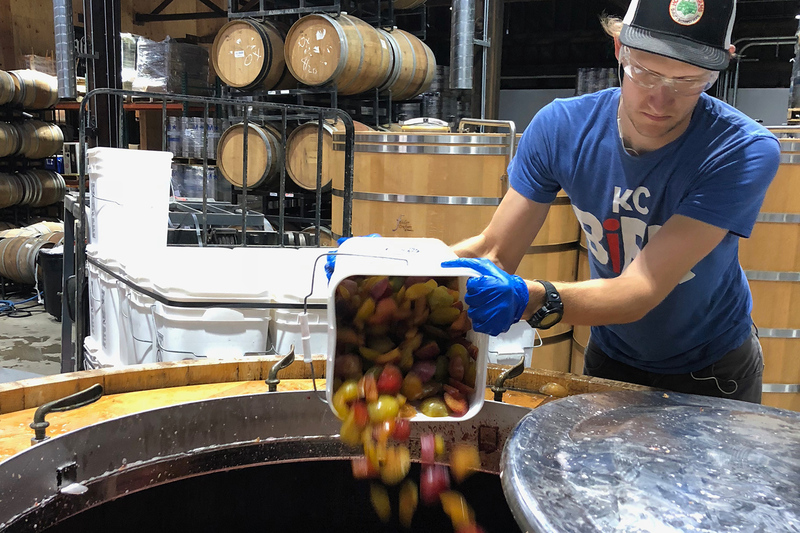 “We go to a number of different small family farms such as Blossom Bluff Orchards and Sierra Cascade Blueberry Farm to source the fruit for many of our beers, such as the Plum Fairy and Fruit Cobbler,” says Damian. He is excited about a couple of beers that are currently aging, including one featuring Buddha Hand’s citron and grapefruit from Murray Family Farms, Garcia Organic Farms, and Mud Creek Ranch. “We also have blueberries that have been aging for a few months now from Sierra Cascade Blueberry Farm, and stone fruit from Blossom Bluff Orchards,” says Damian. In 2015, craft brews sales became legal in California farmers markets, followed by a law that went into effect in 2016 allowing beer sampling in farmer markets. Almanac has been on the forefront of this movement for the last two years, selling their barrel-aged brews in bottles and cans at CUESA’s Ferry Plaza Farmers Market on Saturdays, while offering small tasting pours. National Beer Day is this Sunday, April 7. 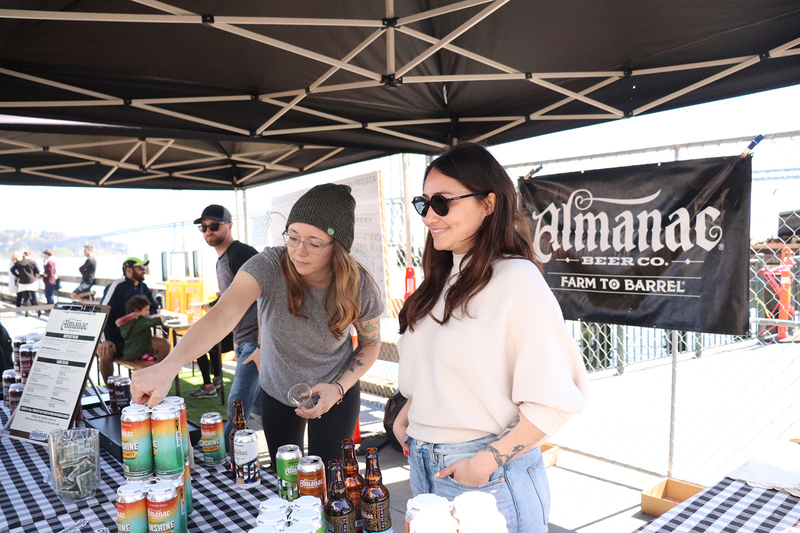 Visit Almanac Beer Co. at Ferry Plaza Farmers Market on Saturdays. Photos of beer, Damian Fagan, and brewery courtesy of Almanac Beer Co.